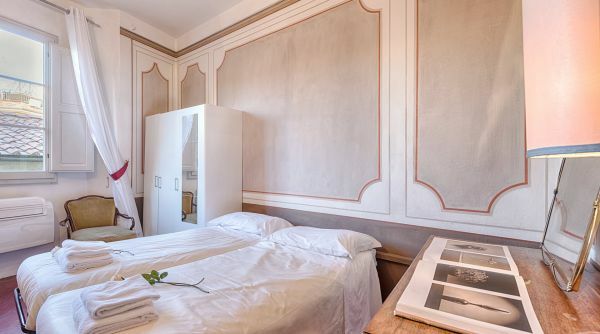 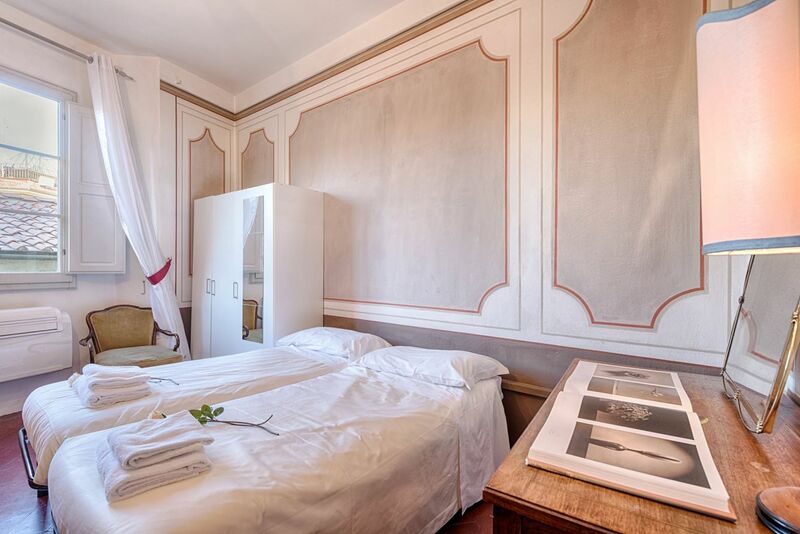 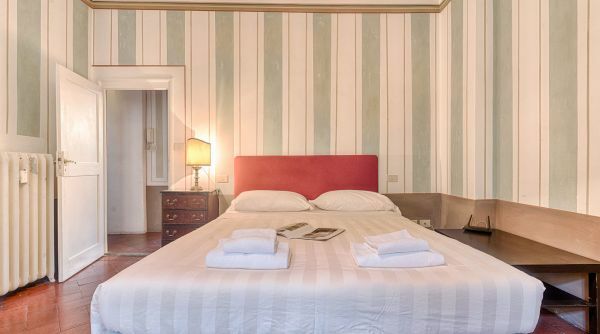 Located in the heart of the historic city center, Decor Goldini is situated on the third floor of a heritage building, equipped with an elevator, a rare luxury considering the location. 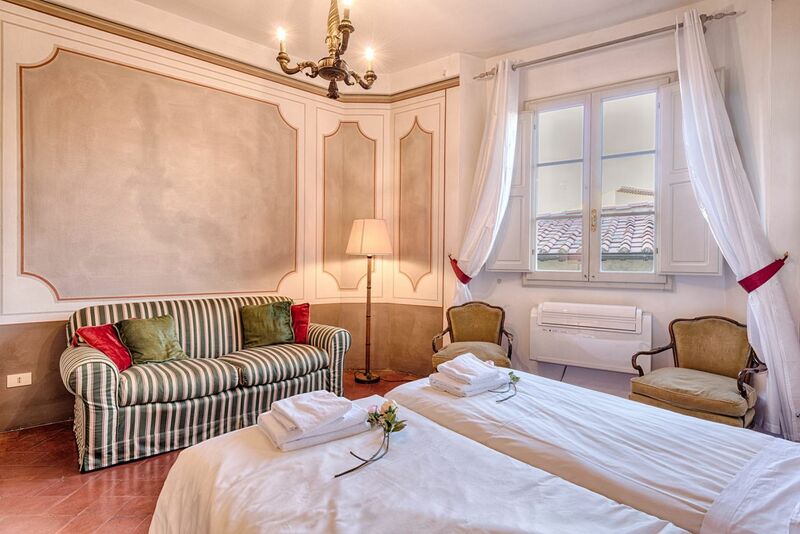 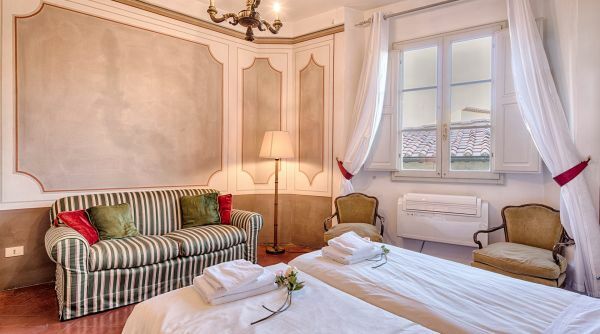 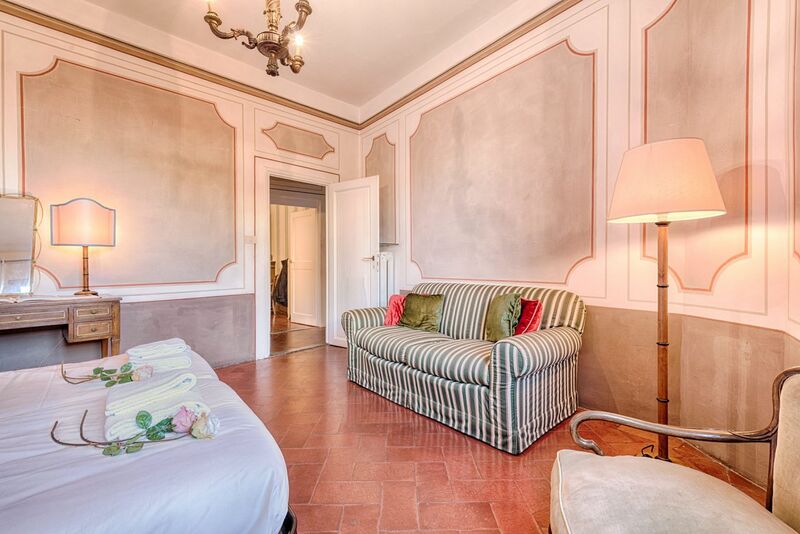 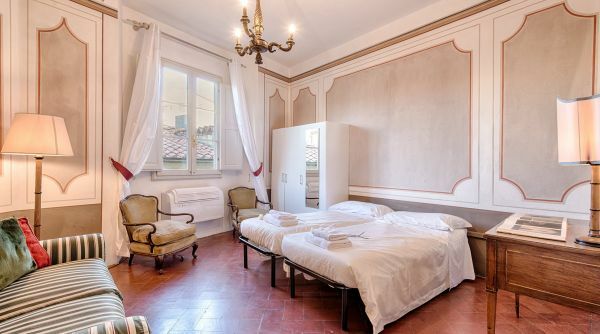 This magical setting boasts delightful views on to the characteristic terracotta rooftops of Florence. 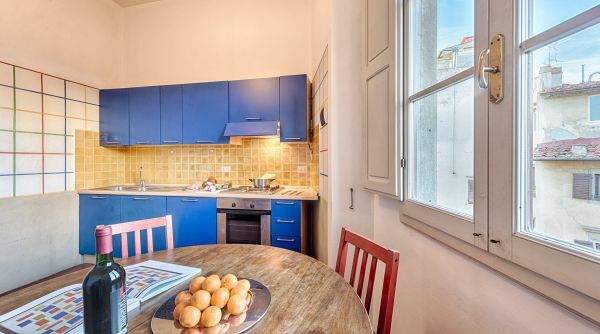 Guests can immerse themselves in the rich history of the neighborhood while enjoying all of the modern comforts that the apartment has to offer. 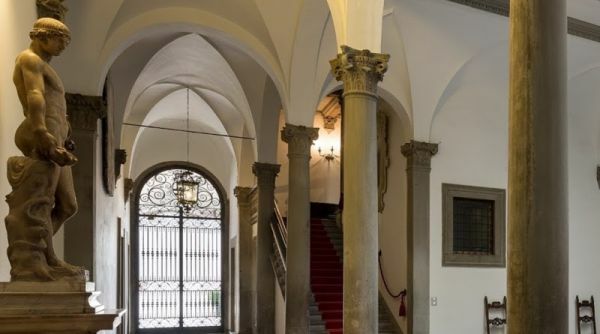 Just a few steps from Via Tornabuoni, famous for world renowned luxury shopping, and Palazzo Strozzi, once considered the most beautiful Renaissance palace of the city that now hosts a celebrated museum. 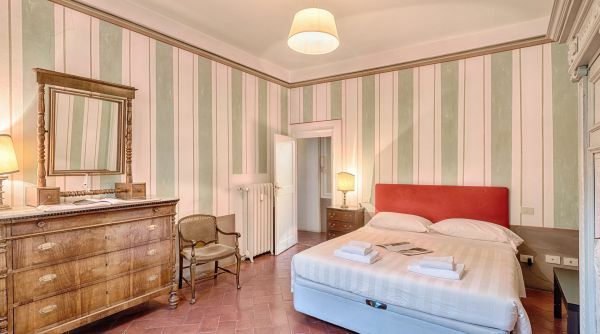 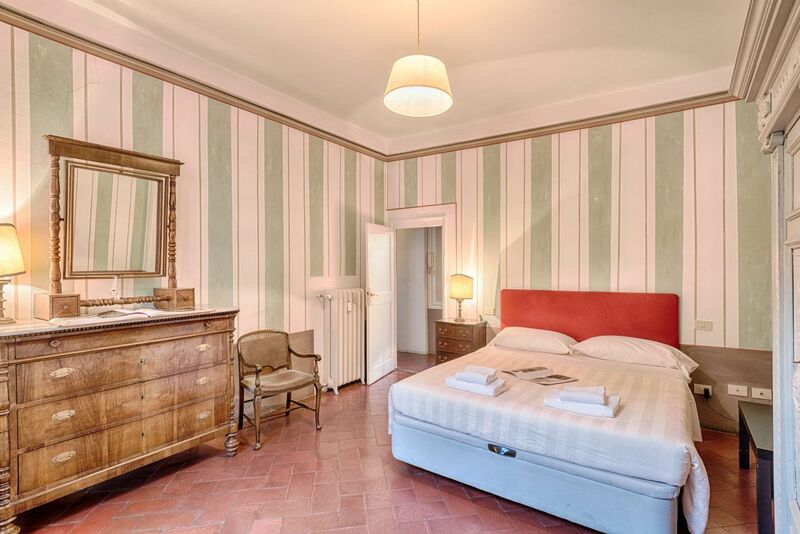 Decor Goldini is the perfect starting point to explore Florence. 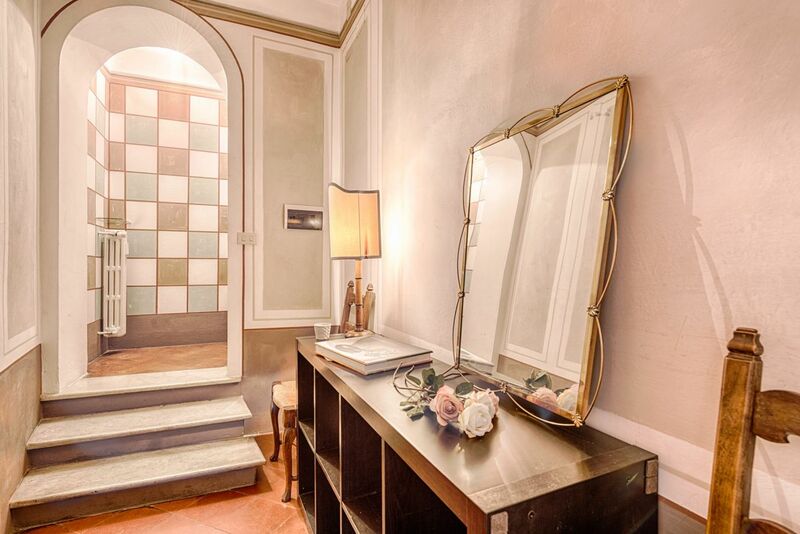 Steps from the Ferragamo Museum, just a short walk from Ponte Vecchio, and the many beautiful historic sights of the UNESCO heritage protected city center. 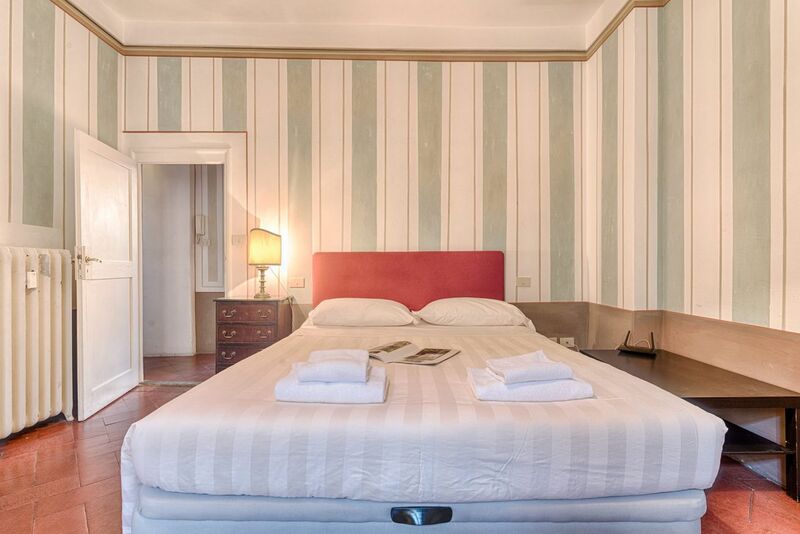 The apartment has 2 large bedrooms, a spacious and well equipped kitchen, and can comfortably accommodate up to 4 guests. 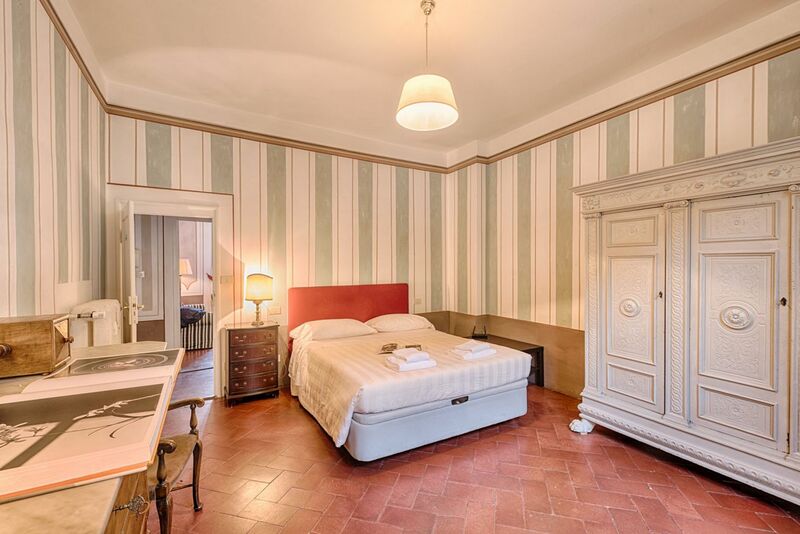 The apartment is located in piazza Goldoni, an elegant square just steps from the Arno river in the heart of the city centre. 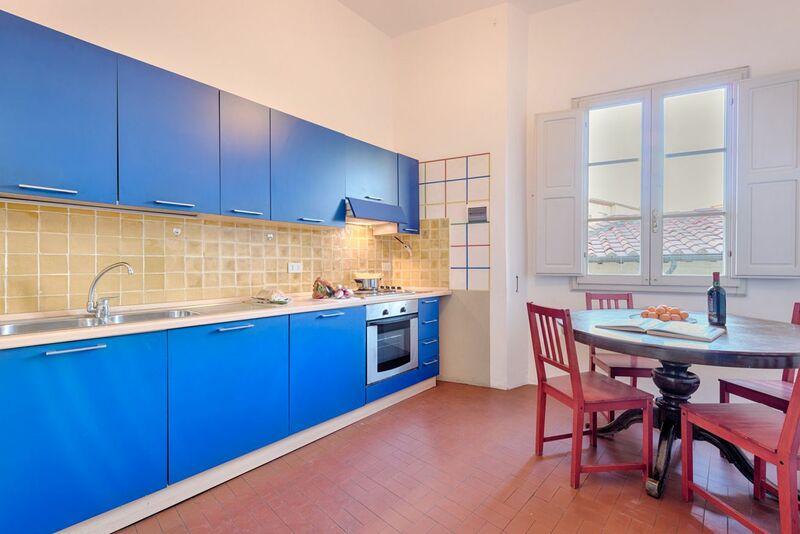 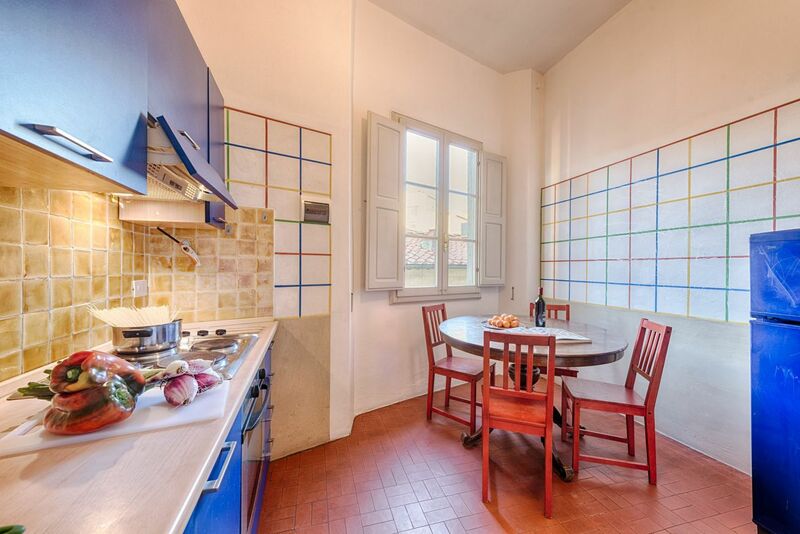 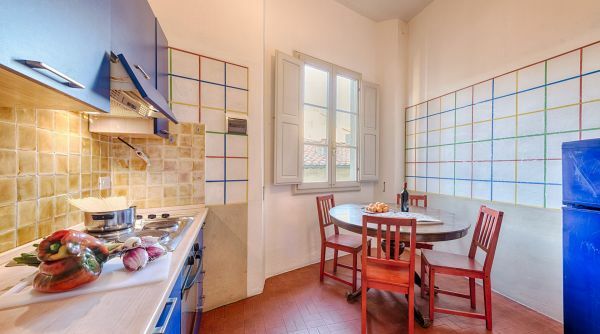 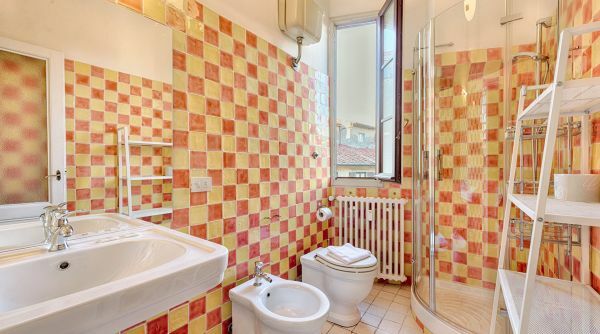 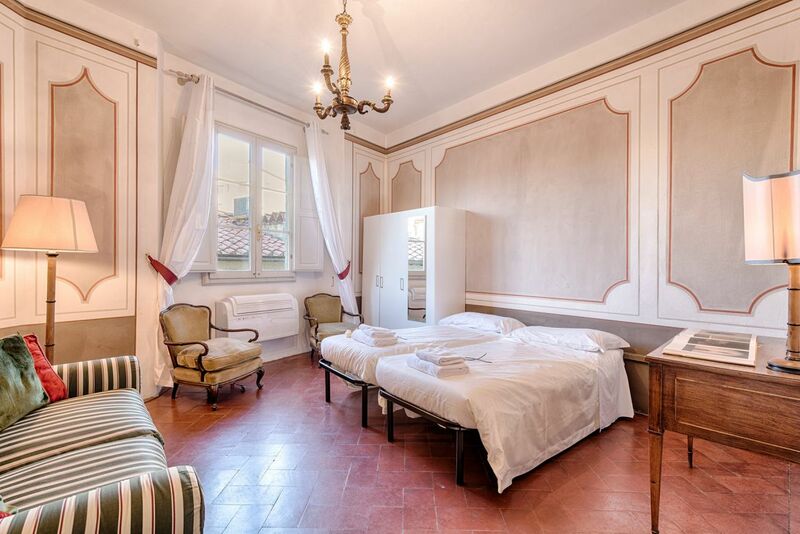 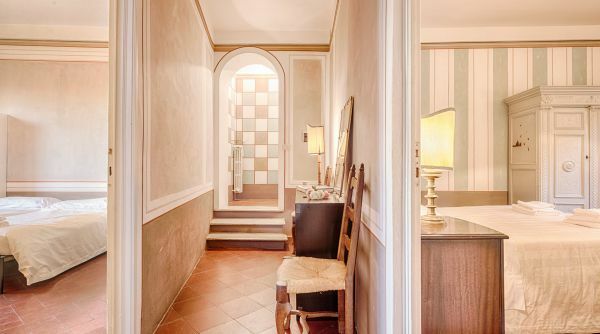 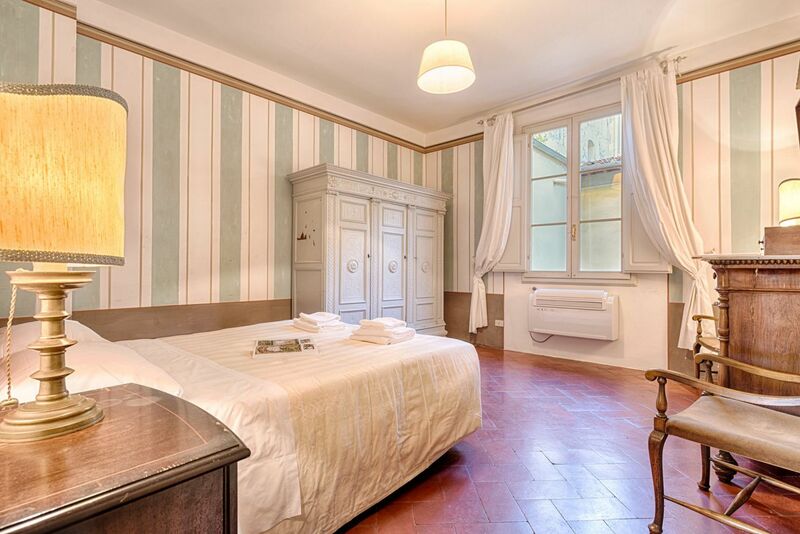 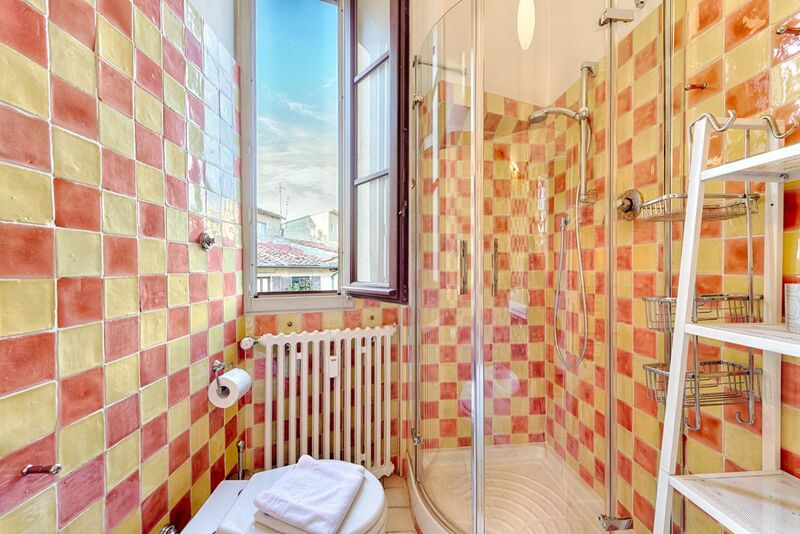 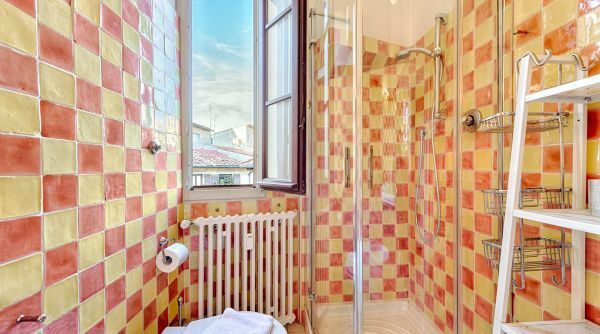 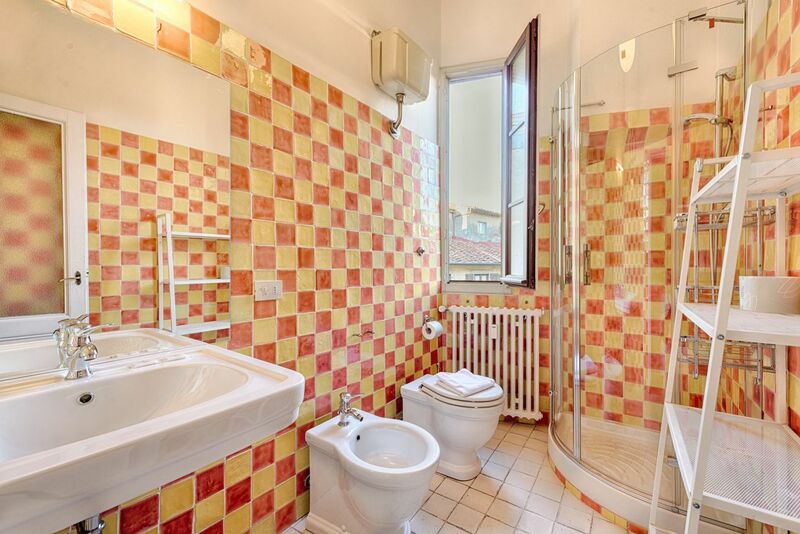 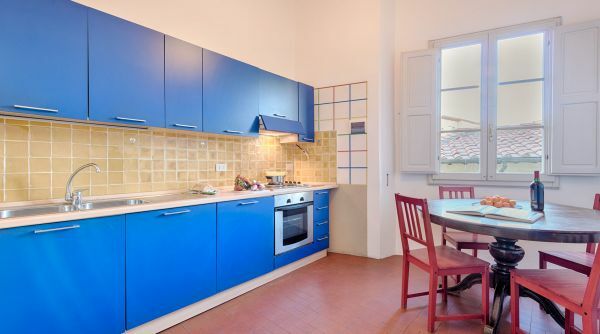 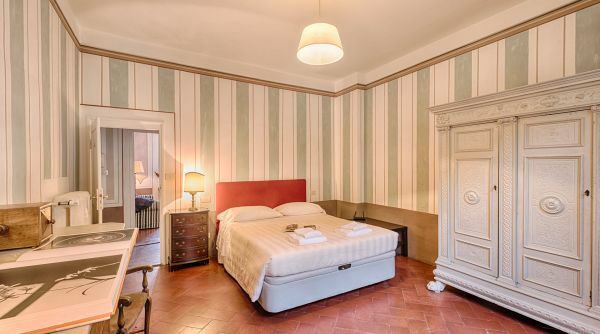 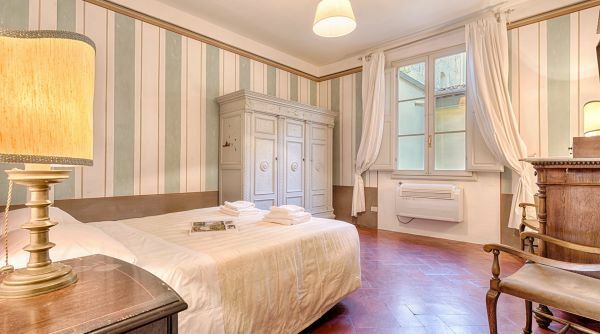 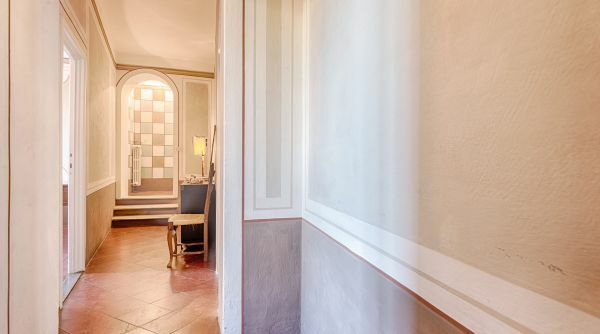 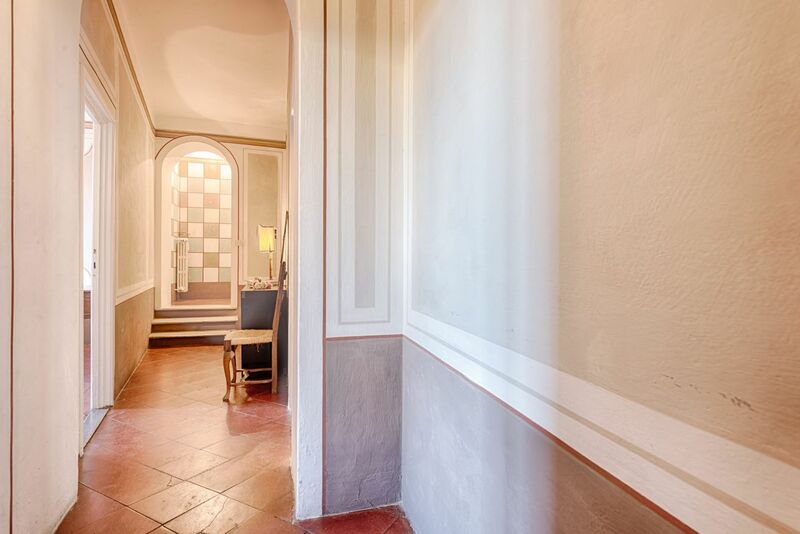 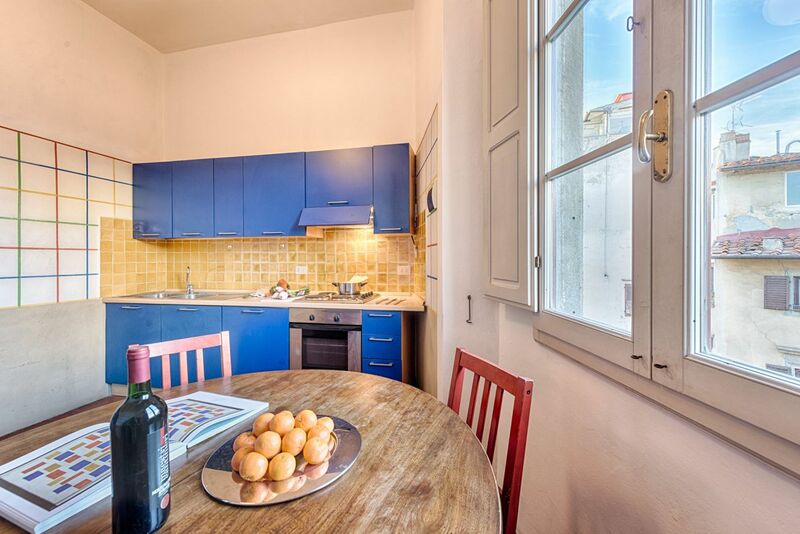 A strategic position close to the lively and authentic Santo Spirito neighborhood, and easy walking distance to all of the major monuments, museums, and historic city sights. 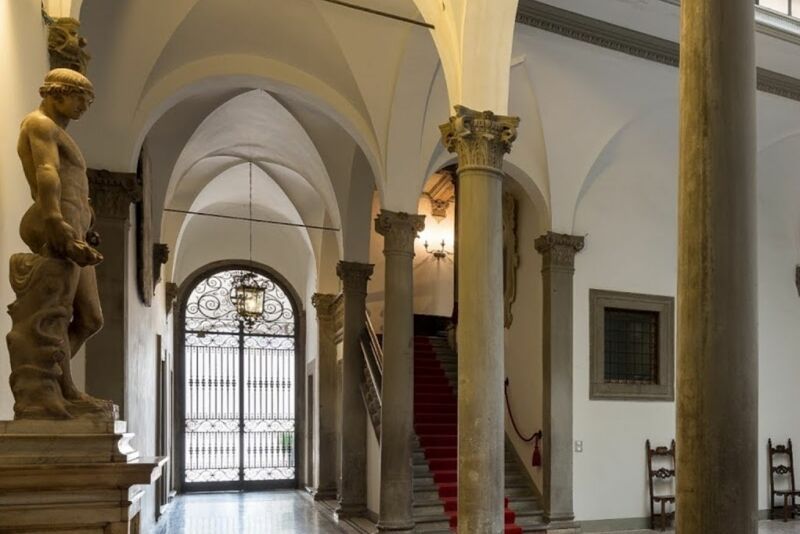 In just a few minutes walk along the river guests will reach the Uffizi Gallery, considered one of the most important museum in the world. 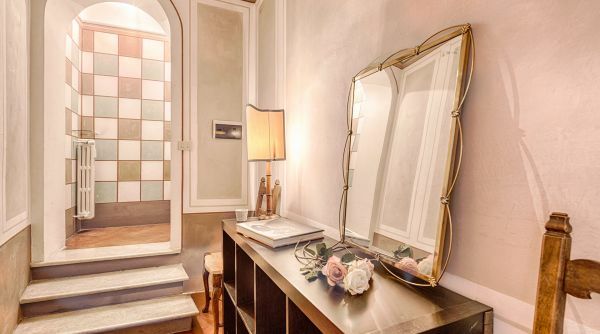 Lovers of luxury and fashion can easily reach via de ' Tornabuoni, the shopping street par excellence lined with high fashion shops synonymous with Italian style. 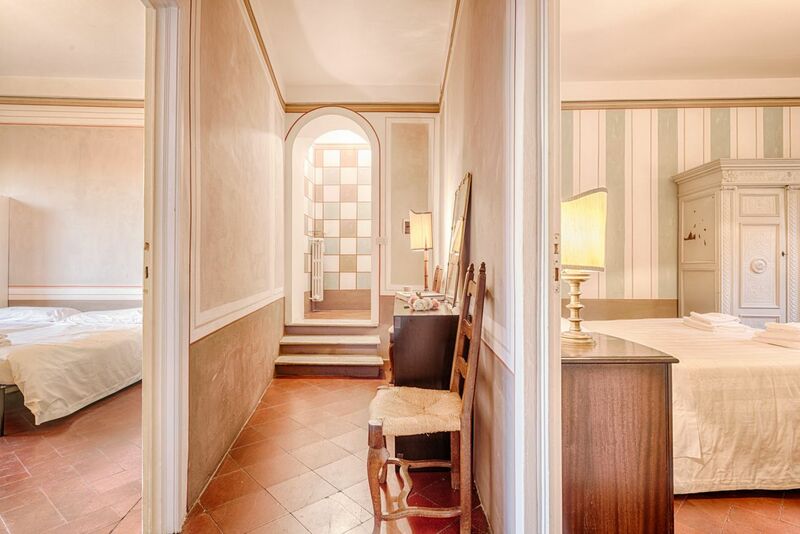 The apartment is only 800 metres away from the main train station of Florence, Santa Maria Novella, so you can easily arrive by foot. 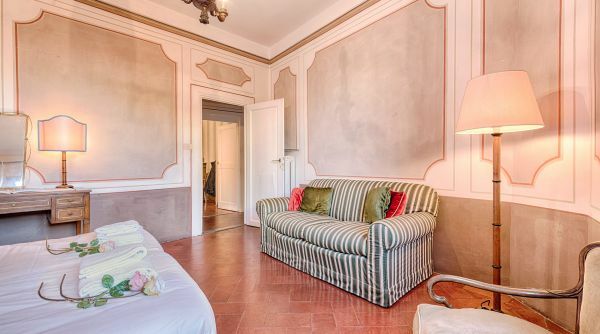 Alternatively, just outside the train station you can also get a cab to get to the apartment in few minutes.